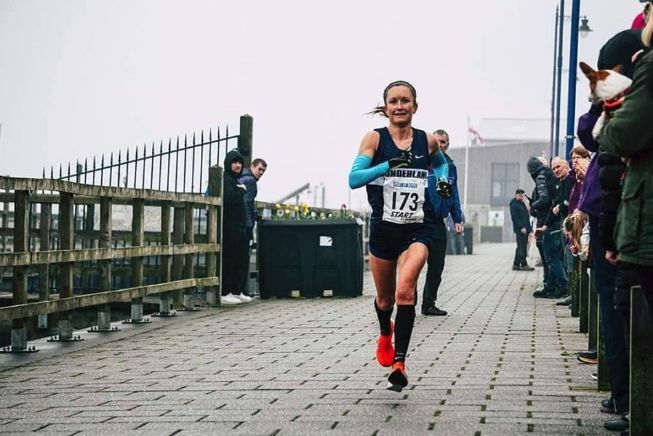 Alyson Dixon en route to winning the Blyth 10k. Photo by Lee Cuthbertson. British Olympian Alyson Dixon chats with us as she prepares to take on the 123rd running of the Boston Marathon on Patriots’ Day, April 15. Dixon describes her goals and recent training regimen since turning 40, and offers several tips for helping listeners hit their own targets. Elsewhere we reveal the results of the Battle of the Podcasts, which pit our humble hosts and fleet-footed listeners against those of the Letsgetrunning show.